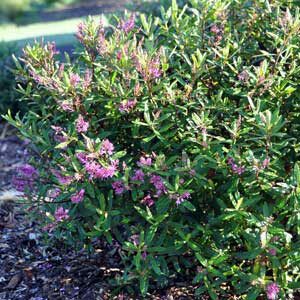 Neat compact upright shrub bearing dark green medium sized leaves and an abundance of rose purple flower spikes in late winter & late summer. Best in full sun & well drained soils. Ideal for coastal areas. Evergreen. 80cm x 80cm.